is very proud to to present an exceptionally talented artist and a truly terrifc Guest Speaker. Tom Richmond is an award winning cartoonist and humorous illustrator, who's work can be seen nationwide in numerous publications, CD-Rom games, products and advertisements. His list of clients includes National Geographic, Time Digital, AOL, The Minnesota Twins, Detour Magazine, Pepsico, Taco Bell, Rolaids, Canon, Scholastic, General Mills, The San Francisco Giants, The Golden State Warriors, Marvel Comics and many others. 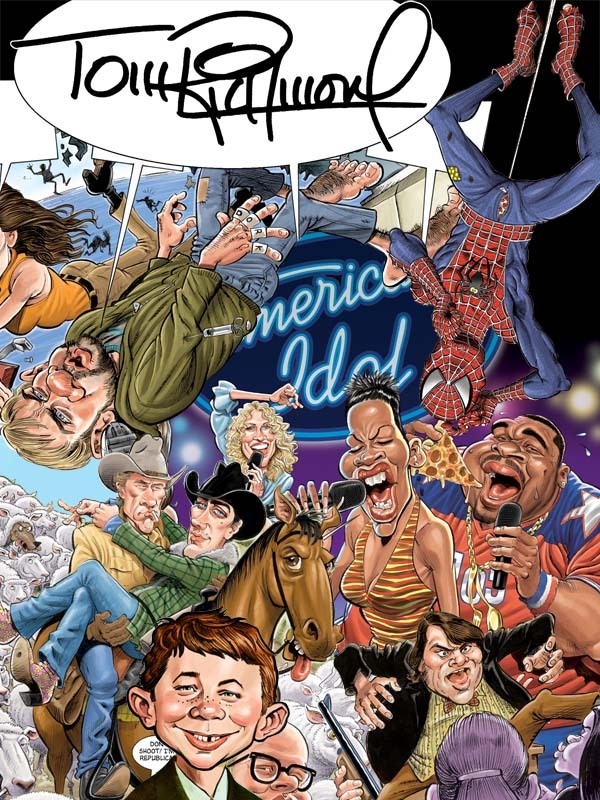 He is one of the"Usual Gang of Idiots" as a principal artist for MAD Magazine where he illustrates movie and TV parodies as well as other features. He has been twice honored by the National Cartoonists Society with a divisional Reuben award for "Best Advertising Illustration", and was twice named "Caricaturist of the Year" by the National Caricaturist Network. He has been a member of the NCN since 1998, and served as NCN president in 2000 and 2001. Don't miss your chance to see and hear Tom Richmond at the St. Louis Minicon!